Red colour is one of my favorite colours lately. 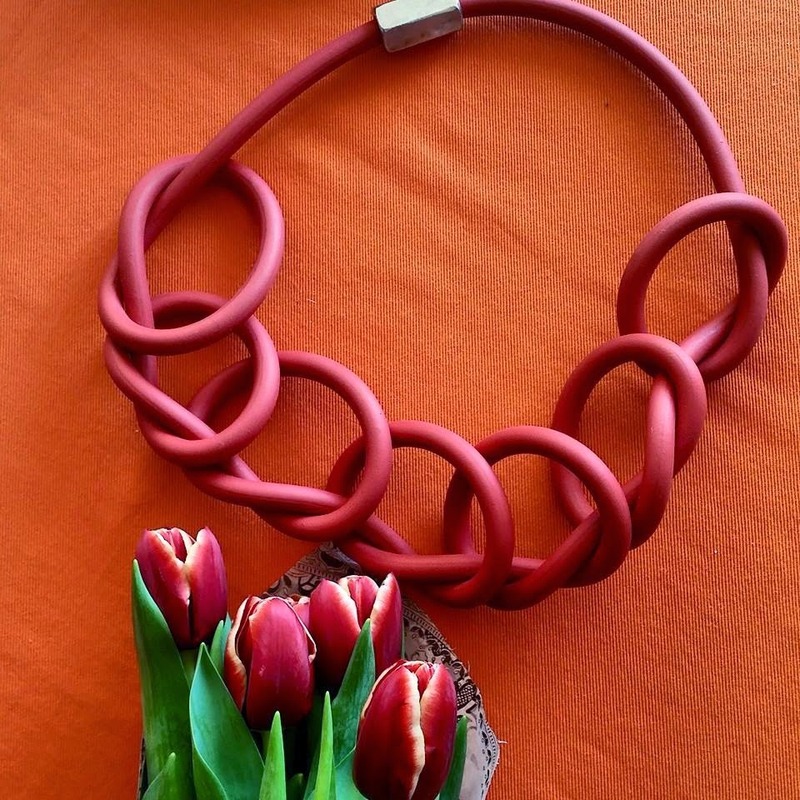 Spring is here so I chose for my home red tulips and amazing LOM dsg necklace for all my spring combination. Love that necklace! Lovely color! That necklace looks so cool! It's so beautiful and inspiring!